ABA Inside Track | Listen Free on Castbox. At some point in everyone’s life, you will be forced to sit through a job interview. This modern rite of passage may well spell the difference between being employed and being flat broke. This week, in our most meta episode ever, we interview Dr. Rocio Rosales on the topic of interview skills. Will a firm handshake, fancy suit, and boastful claim that your biggest weakness is your lack of weaknesses give you the edge you need to succeed? Or is there more to interview skills mastery than a winning smile? Our resume is up to date and scented for that little something extra. Don’t forget, to celebrate Autism Awareness Month, all throughout April, a portion of proceeds from CE processing fees will be donated to the New England Center for Children, a globally acknowledged school for individuals with autism and a home of research and training in the field of behavior analysis. Pick up some CEs and donate to a worthy cause. It’s win-win! Articles discussed this episode: O’Neill, J. & Rehfeldt, R.A. (2017). Computerized behavioral skills training with selection-based instruction and lag reinforcement schedules for responses to interview questions. Behavior Analysis: Research and Practice, 17, 42-54. doi: 10.1037/bar0000043 Smith, M.J., Ginger, E.J., Wright, K., Wright, M.A., Taylor, J.L., Humm, L.B., Olsen, D.E., Bell, M.D., & Fleming, M.F. (2014). Virtual reality job interview training in adults with autism spectrum disorder. Journal of Autism and Developmental Disorders, 44, 2450-2463. doi: 10.1007/s10803-014-2113-y Stocco, C.S., Thompson, R.H., Hart, J.M., & Soriano, H.L. (2017). Improving the interview skills of college students using behavioral skills training. Journal of Applied Behavior Analysis, 50, 495-510. doi: 10.1002/jaba.385 Rosales, R. & Whitlow, H. (2019). A component analysis of job interview training for young adults with autism spectrum disorder. Behavioral Interventions, 1-16. doi: 10.1002/bin.1658 If you're interested in ordering CEs for listening to this episode, click here to go to the store page. You'll need to enter your name, BCBA #, and the two episode secret code words to complete the purchase. Email us at abainsidetrack@gmail.com for further assistance. In honor of Autism Awareness Month, a portion of all of ABA Inside Track’s proceeds in April will be donated to the New England Center for Children. For those of you who haven’t heard of this internationally recognized school for individuals with ASD, Kim Walter joins us for a bonus chat about the ongoing mission of NECC to improve the lives of students, families, and behavior analysts. Fun fact: Without the New England Center for Children, there wouldn’t even BE an ABA Inside Track!!! Interested in reaching your professional development goals and simultaneously donating to a worthy cause? Why not order some CEs from us and make all the dreams come true! Snacking sure is great. But, snacking isn’t usually the healthiest choice available. Since chiding people to eat better doesn’t seem to be cutting down the worldwide obesity epidemic, it looks like we’ll need behavior analysis to save the day. What does the research tell us about food preferences and promoting healthy food choices at a young age? And is there any way that we could make the whole thing some big, fun game? This podcast comes with and without cheese. You know you’re choosing the one with cheese. Remember, all this April, a portion of CE processing fees will be donated to the New England Center for Children, a school for individuals with autism and a home of behavior analytic research and training. By applying for CEs from ABA Inside Track, you’ll be donating to a worthy cause. It’s win-win! Articles discussed this episode: Stark, L.J., Collins, Jr., F.L., Osnes, P.G., & Stokes, T.F. (1986). Using reinforcement and cueing to increase healthy snack food choices in preschoolers. Journal of Applied Behavior Analysis, 19, 367-379. doi: 10.1901/jaba.1986.19-367 Zonneveld, K.L.M., Neidert, P.L., Dozier, C.L, Gureghian, D.L., & Bayles, M.W. (2019). Assessing factors that influence young children’s food preferences and choices. Journal of Applied Behavior Analysis, 52, 240-257. doi: 10.1002/jaba.521 Jones, B.A., Madden, J.G., Wengreen, H.J., Aguilar, S.S., Desjardins, E.A. (2014). Gamification of dietary decision-making in an elementary-school cafeteria. PLoS ONE, 9, e93872. doi: 10.1371/journal.pone.0093872 If you're interested in ordering CEs for listening to this episode, click here to go to the store page. You'll need to enter your name, BCBA #, and the two episode secret code words to complete the purchase. Email us at abainsidetrack@gmail.com for further assistance. You may think that discrete trial teaching requires you to present only one stimulus at a time. But, what if you could present more? And, what if, like magic, your students learned both without taking any additional time. Special guest Dr. Jason Vladescu joins us to share this seemingly magical procedure known as instructive feedback. Then stay tuned to hear our million-dollar ideas for scented oils. Copyright us. Articles discussed this episode: Vladescu, J.C. & Kodak, T.M. (2013). Increasing instructional efficiency by presenting additional stimuli in learning trials for children with autism spectrum disorders. Journal of Applied Behavior Analysis, 46, 805-816. doi: 10.1002/jaba.70 Haq, S.S., Zemantic, P.K., Kodak, T., LeBlanc,B., & Ruppert, T.E. (2017). Examination of variables that affect the efficacy of instructive feedback. Behavioral Interventions, 32, 206-216. doi: 10.1002/bin.1470 Dass, T.K., Kisamore, A.N., Vladescu, J.C., Reeve, K.F., Reeve, S.A., & Taylor-Santa, C. (2018). Teaching children with autism spectrum disorder to tact olfactory stimuli. Journal of Applied Behavior Analysis, 51, 538-552. doi: 10.1002/jaba.470 If you're interested in ordering CEs for listening to this episode, click here to go to the store page. You'll need to enter your name, BCBA #, and the two episode secret code words to complete the purchase. Email us at abainsidetrack@gmail.com for further assistance. 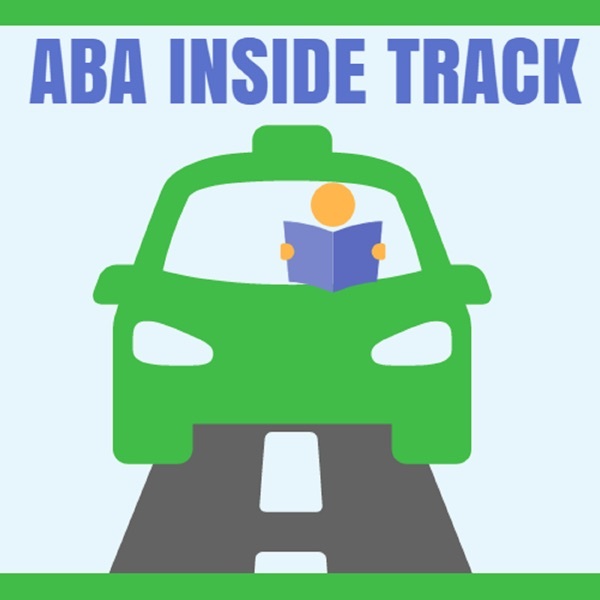 ABA Inside Track is coming at ya LIVE with a very special episode recorded at TACT (The Autism Community Therapists) all on the subject of….well…tacts. And this week’s articles aren’t messing around when it comes to using mands and echoics to beef up your tact training protocols. Plus, binkles for everybody! Articles discussed this episode: Carroll, R.J., & Hesse, B.E. (1987). The effects of alternating mand and tact training on the acquisition of tacts. The Analysis of Verbal Behavior, 5, 55-65. PMCID: PMC2748455 Kodak, T. & Clements, A. (2009). Acquisition of mands and tacts with concurrent echoic training. Journal of Applied Behavior Analysis, 42, 839-843. doi: 10.1901/jaba.2009.42-839 Arntzen, E. & Almas, I.K. (2002). Effects of mand-tact versus tact-only training on the acquisition of tacts. Journal of Applied Behavior Analysis, 35, 419-422. doi: 10.1901/jaba.2002.35-419 If you're interested in ordering CEs for listening to this episode, click here to go to the store page. You'll need to enter your name, BCBA #, and the two episode secret code words to complete the purchase. Email us at abainsidetrack@gmail.com for further assistance. While many of you may have heard of Michelle Garcia Winner’s Social Thinking curriculum, have you ever wondered if it’s appropriate for behavior analysts to use it? Well, Dr. Justin Leaf certainly has and he joins us on the podcast to share all of his thoughts on the subject including whether Social Thinking is empirically supported, whether it should be categorized as scientific or pseudoscientific, and whether behavior analysts may be at risk of violating our ethical code for using it. Articles discussed this episode: Leaf, J.B., Townley-Cochran, D., Taubman, M., Cihon, J.H., Oppenheim-Leaf, M.L., Kassardjian, A., Leaf, R., McEachin, J., & Pentz, T.G. (2015). The teaching interaction procedure and behavioral skills training for individuals diagnosed with autism spectrum disorder: a Review and commentary. Review Journal of Autism and Developmental Disorders, 2, 402-413. doi: 10.1007/s40489-015-0060-y Leaf, J.B., Kassardjian, A., Oppenheim-Leaf, M.L, Cihon, J.H., Taubman, M., Leaf, R., & McEachin, J. (2016). Social Thinking: Science, pseudoscience, or antiscience? Behavior Analysis in Practice, 9, 152-157. doi: 10.1007/s40617-016-0108-1 Leaf, J.B., Kassardjian, A., Oppenheim-Leaf, M.L., Cihon, J.H., Taubman, M., Leaf, R., & McEachin, J. (2016). Erratum to: Social Thinking: Science, pseudoscience, or antiscience? Behavior Analysis in Practice, 9, 158-159. doi: 10.1007/s40617-016-0119-y Crooke, P.J. & Winner, M.G. (2016). Social Thinking methodology: Evidence-based or empirically supported? A response to Leaf et al. (2016). Behavior Analysis in Practice, 9, 403-408. doi: 10.1007/s40617-016-0151-y Crooke, P.J., Hendrix, R.E., & Rachman, J.Y. (2008). Brief report: Measuring the effectiveness of teaching Social Thinking to children with Asperger syndrom (AS) and high functioning autism (HFA). Journal of Autism and Developmental Disorders, 38, 581-591. doi: 10.1007/s10803-007-0466-1 If you're interested in ordering CEs for listening to this episode, click here to go to the store page. You'll need to enter your name, BCBA #, and the two episode secret code words to complete the purchase. Email us at abainsidetrack@gmail.com for further assistance. May I have your attention, please? Webster’s dictionary defines public speaking as the act of speaking in front of an audience. And it’s sort of terrifying…and I’m sweating just standing here talking to you. Now my PowerPoint slides have malfunctioned and I’ve dropped my notes. And I’m picturing the audience naked which is making me feel very uncomfortable. If only I’d listened to that amazing podcast about public speaking and how to improve my own abilities before agreeing to speak in front of all the best behavior analysts. 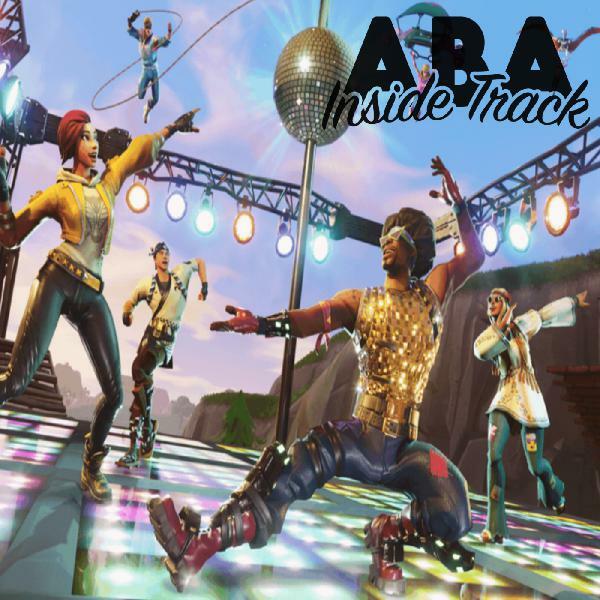 Save me, ABA Inside Track! Articles discussed this episode: Friman, P.C. (2014). Behavior analysts to the front! A 15-step tutorial on public speaking. The Behavior Analyst, 37, 109-118. doi: 10.1007/s40614-014-0009-y Fawcett, S.B. & Miller, L.K. (1975). Training public-speaking behavior: An experimental analysis and social validation. Journal of Applied Behavior Analysis, 8, 125-135. doi: 10.1901/jaba.1975.8-125 Black, E.L. & Martin. G.L. (1980). A component analysis of public-speaking behaviors across individuals and behavioral categories. Communication Education, 29, 273-282. doi: 10.1080/03634528009378425 If you're interested in ordering CEs for listening to this episode, click here to go to the store page. You'll need to enter your name, BCBA #, and the two episode secret code words to complete the purchase. Email us at abainsidetrack@gmail.com for further assistance. What began as Rob’s excuse to talk about his favorite Mario games turned into a long discussion of research about gamification and its role (if any) in improving human behavior. We review the literature, the theory, and the anecdotes around this hot hot trend in every field from education to environmentalism. Is gamification the Fortnite of productivity? Or should it be tossed in a landfill like E.T. for Atari 2600. Articles discussed this episode: Morford, Z.H., Witts, B.N., Killingsworth, K.J., & Alavosius, M.P. (2014). Gamification: The intersection between behavior analysis and game design technologies. The Behavior Analyst, 37, 25-40. doi: 10.1007/s40614-014-0006-1 Sailer, M., Hense, J.U., Mayr, S.K., & Mandi, H. (2017). How gamification motivates: An experimental study of the effects of specific game design elements on psychological need satisfaction. Computers in Human Behavior, 69, 371-380. doi: 10.1016/j.chb.2016.12.033 Hamari, J., Koivisto, & Sarsa, H. (2014). Does Gamification Work? A literature review of empirical studies on gamification. Proceedings of the Annual Hawaii International Conference on Systems Sciences. doi: 10.1109/HICSS.2014.377 Fogel, V.A., Miltenberger, R.G., Graves, R., & Koehler, S. (2010). The effects of exergaming on physical activity among inactive children in a physical education classroom. Journal of Applied Behavior Anlaysis, 43, 591-600. doi: 10.1901/jaba.2010.43-591 If you're interested in ordering CEs for listening to this episode, click here to go to the store page. You'll need to enter your name, BCBA #, and the two episode secret code words to complete the purchase. Email us at abainsidetrack@gmail.com for further assistance.